I have come to a realization; I am a really lazy cooker. Every now and then, I love to go all out with something complicated that requires every bowl in the kitchen. 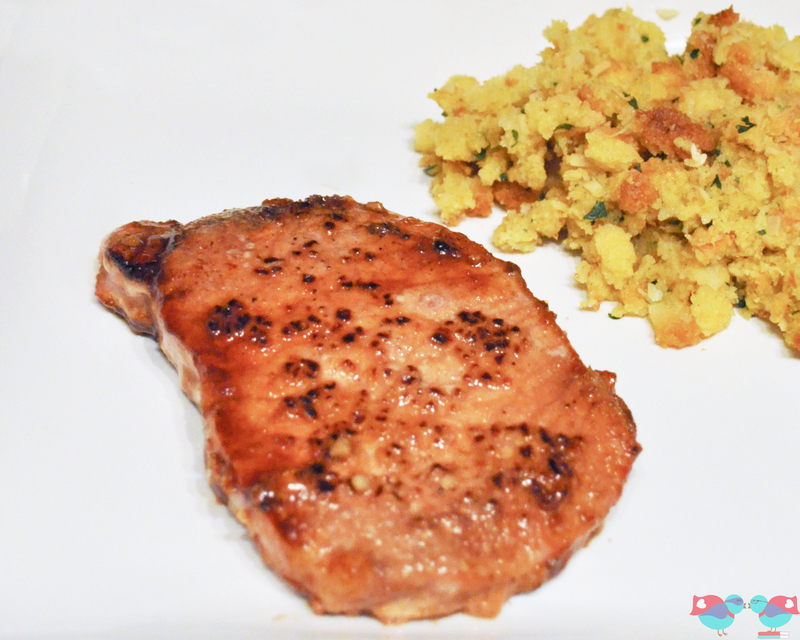 But, on a normal day, I like easy meals, which is why I love these Brown Sugar Pork Chops. After a few quick steps, you’re eating a fabulous pork dinner. Plus, there’s only 5 ingredients! Remember how I said I was lazy? 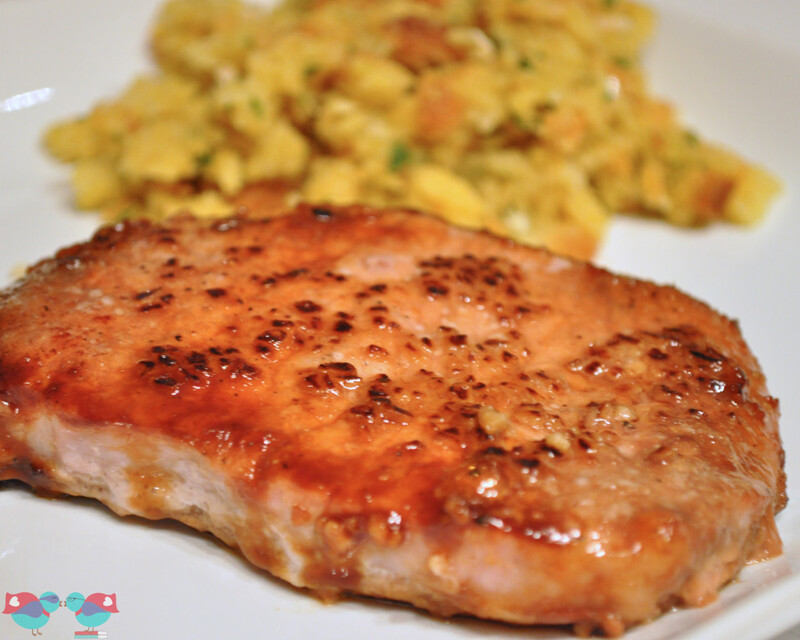 Pork chops can be tricky because they are so easy to overcook. This is why I always start by searing the pork chops on a hot stovetop pan before finishing in the oven. By transferring to the oven, it allows the pork chop to cook longer without the outside getting tough. 2. Mix together the brown sugar, chili powder, and garlic powder in a bowl. 3. Rub the mixture onto both sides of the pork chop, coating it really well. 4. Heat a stovetop pan and then sear both sides of the pork chop for 2-3 minutes. 5. Carefully transfer to a shallow oven safe pan. Add a little garlic on top of the pork chop and put into the oven. Let them roast in the oven until the internal temperature registers at 140-145 degrees. My meat thermometer is one of my most used kitchen tools! Time will depend on how thick the pork chop is, but this usually takes about 20 minutes for me. 6. Remove from oven and let cool for a couple minutes before serving. 7. 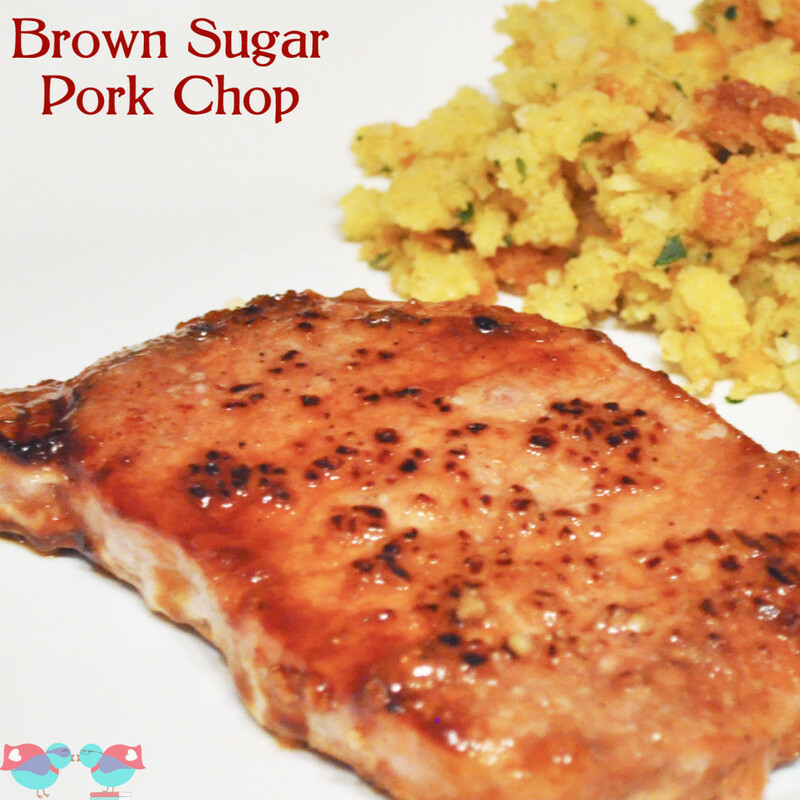 Enjoy your brown sugar pork chops! While I didn’t think about this at the time, this would be amazing with warmed Apple Butter topping and Brown Sugar and Cinnamon Sweet Mashed Potatoes! These Brown Sugar Pork Chops just got added into the rotation again for next week so we can have this variation. 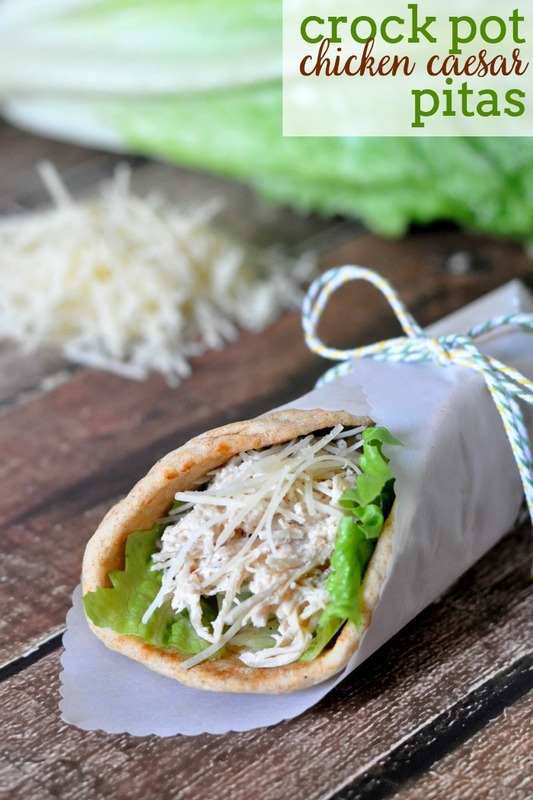 If you like this recipe, you may enjoy these other Easy Dinner Ideas! These were amazing! 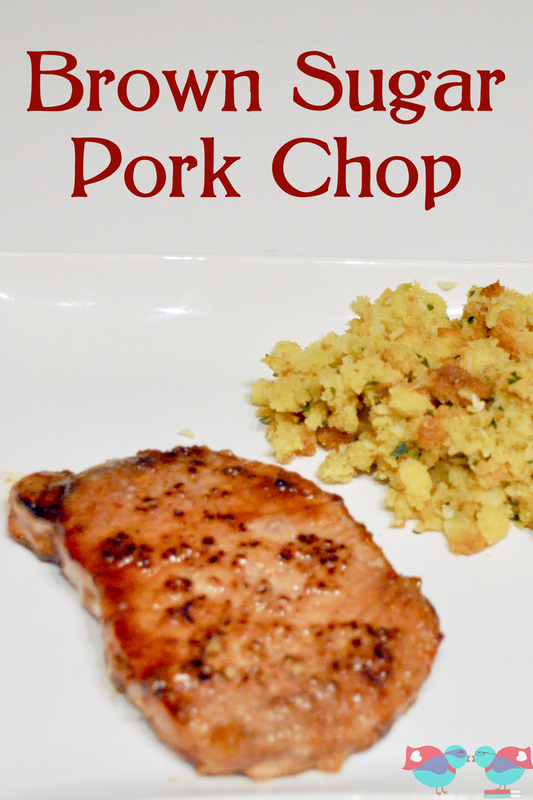 I have a hard time eating pork chops because they are always dry, but not these! Can’t wait to make these next week! Thanks for the recipe in advance! I don’t have garlic powder. Will that make a difference? I just made them for supper minus garlic powder an they was good. Kids didn’t care for them. They don’t like new things…. I don’t have a fancy one. The one I currently have is an instant read digital thermometer by Polder which I picked up from Crate and Barrel. Taylors are supposed to be good and my mom has an Oxo one that she likes. Good luck choosing one!! Do you have a thermometer that you can leave in the meat as it cooks or do you check it as it is about to be done? What temperature do I set my oven to? Temperature is listed in step 1 – 350 degrees. Just wanted to say I just made this and it is so good! Thank you for sharing this. So easy and so good. YUM!!!!! I am so glad that you liked it, Lynn!! These are so good! The chili powder does not make them spicy. I will make again soon! I am so glad you liked it, Mandy! It is one of our go-to recipes. Hi there! These sound delicious… I was wondering if these chops are on the spicy side? (3 year old doesn’t like spicy) Thanks! I don’t consider them spicy at all. The brown sugar is definitely the prominent flavor. I have not tried grilling this particular pork chop recipe. I would spray the grill with non-stick spray well. The only think that might happen is the brown sugar might caramelize slightly, but that doesn’t sound like a bad thing to me. I wish I could be of more help! Hi there, these sound really good but I was wondering if it matters if you use light or dark brown sugar? I used light brown sugar because that is what I had in the house, but I don’t think it would make a huge difference either way. I would say use whichever you prefer. Have you frozen this recipe? If so, how did it turn out? I wish I could be of more help, but I haven’t. I normally just defrost the pork chops and quickly dip it into the brown sugar mix. Just made this for dinner, it was simply delicious. 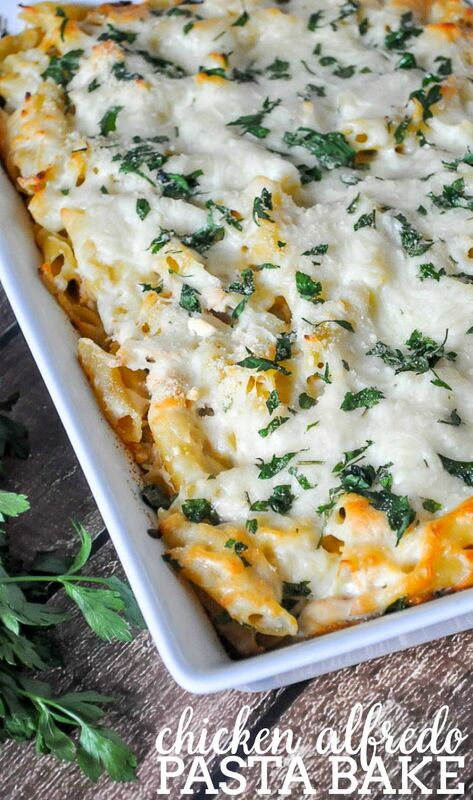 Super easy and very flavorful. I will be making this again for sure! Thanks for sharing. I am so glad you liked the recipe, Danielle! 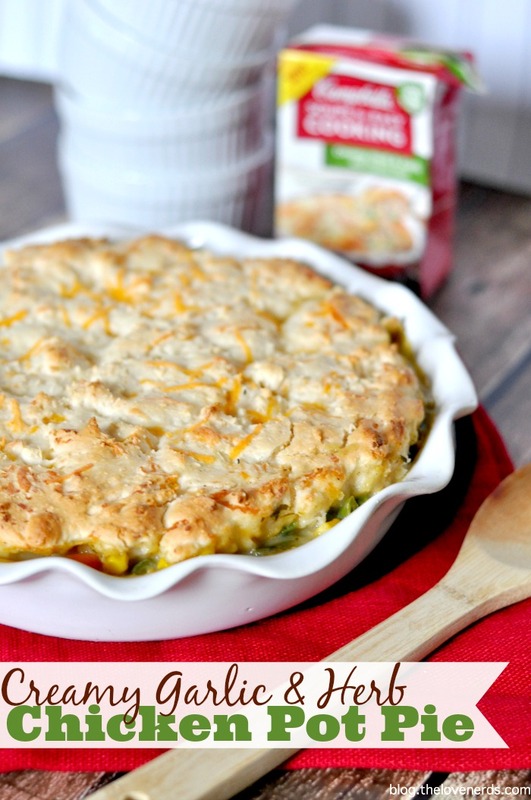 It is one of our go-to recipes because of how easy it is. Making these tonight! Leaving out the chili powder because of allergies. Will be having Freekeh & steamed veggies to accompany the chops.